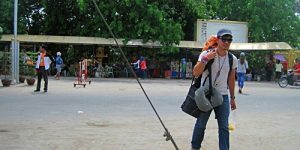 We arrived from a long bus ride from Nueva Ecija to Las Palmas Hotel and Resort in Tuguegarao. 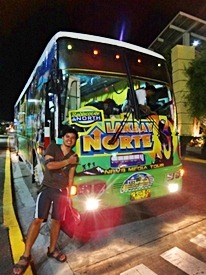 Travel time took about 9 hours so we spent the night inside the Lakbay Norte 3 shuttle to rest. 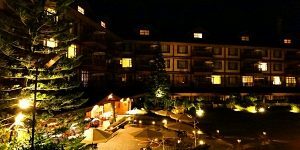 Afterwards, we headed to our assigned rooms so we could get ready for another adventure prepared for us. But first we had breakfast at 5 in the morning courtesy of Mcdonalds. The meal was what we needed to keep us full as we travel to Kalinga and experience white water rafting by Adventures and Expeditions Inc. It was a chilly morning and the sun was still rising. On our way to the starting point of the rafting adventure, we made a stopover to change seats. Those who wanted to ride on top of the jeep had transferred. 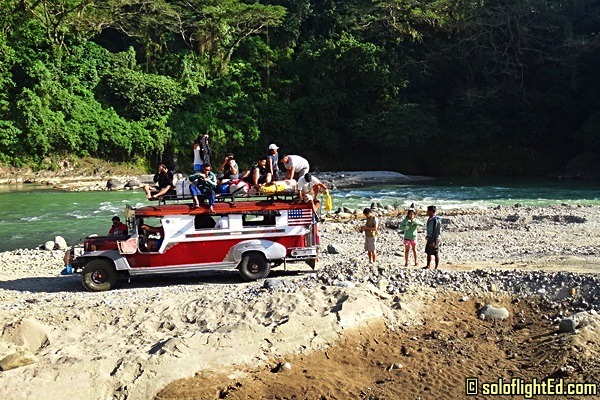 This reminded me of my crazy topload from Banaue to Bontoc during our trip to Sagada. It also made me realize I haven’t finished writing about my Sagada series. 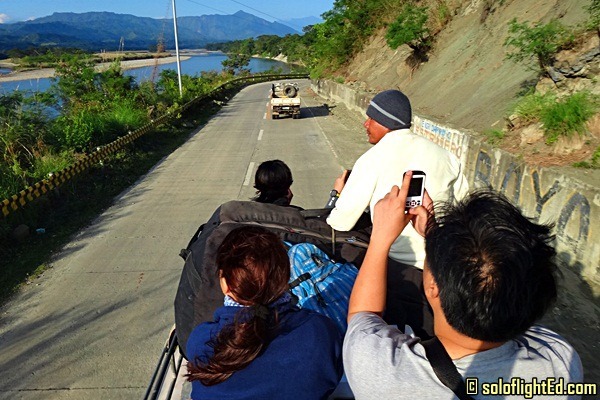 This was a different toploading experience because compared to Sagada where there was almost zero visibility, I had a clear view of the mountains and the Chico river; the river that we were about to traverse on using rubber rafts. 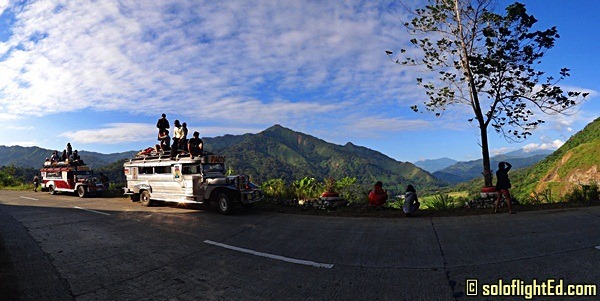 It was a cold morning ride, but the climate didn’t stop us from admiring the spectacular view of the mountains of the cordilleras. We had to stop to take more photos of the river from a certain point on the road. Finally arriving at the starting point, we were given tips on how to hold the paddle to maneuver the boat. The guys from Adventures and Expeditions Philippines Inc. (AEPI) made sure that we understood their instructions. preparing for the rafting experience in Kalinga! I was in the smallest boat with other guys who wanted a challenging raft. The smaller the raft, the better chances of you falling. Call me crazy, but I wanted to fall. haha. I can’t recall how many rapids we faced, but I remember I kept cracking up every time somebody fell. 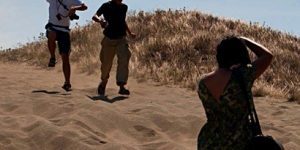 James kept saying that I was a little devil because even when some of my companions were already struggling to keep balance, I still couldn’t stop bursting into laughter. Even our guide fell off the boat! I was the only one who didn’t which was a total bummer. haha. It was really fun especially when you are with people who want to experience an extreme ride. At times when the water was calm, we would admire the view of the mountain ranges. We would also splash water on each other. 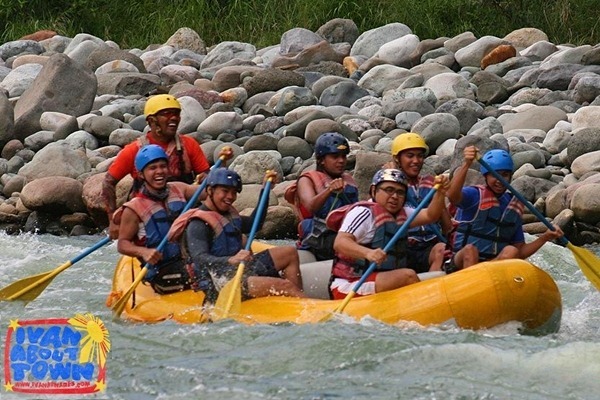 My first white water rafting adventure was in Cagayan de Oro and the water was murky because it rained the previous days. 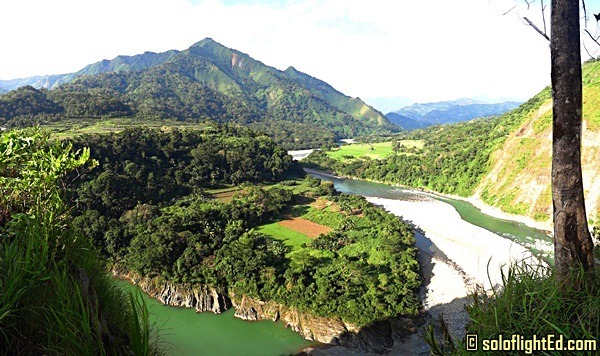 This time in Chico River, the water was green which added to the beauty of the landscape. Some areas where we rested, my companions piled rocks to kill time. I was amused at how tall they could pile those stones on top of each other. I wanted to try so myself, but we were told to get inside the raft for the next rapids. 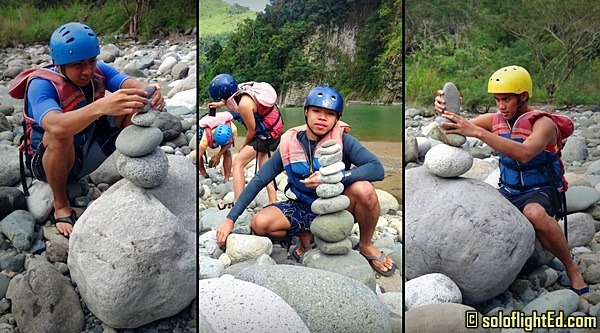 We finished the Kalinga white water rafting experience and changed clothes on an open area filled with rocks. It was another sight to behold; too bad my camera drained on me. 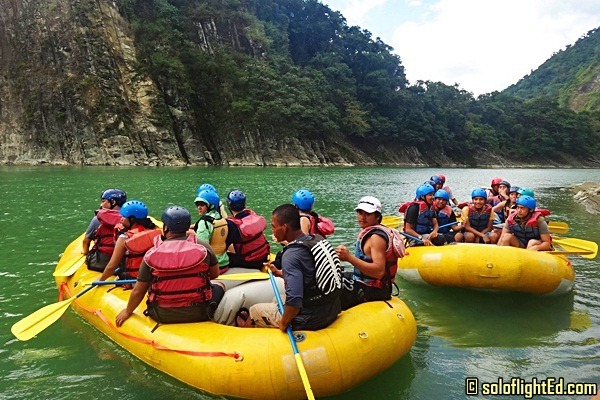 The whitewater rafting adventure in Kalinga is a great team building activity for colleagues, friends, or families. An important tip: don’t forget to wear sunscreen! You might not notice the sun because of the fun, but it’s good to apply protection for your skin. 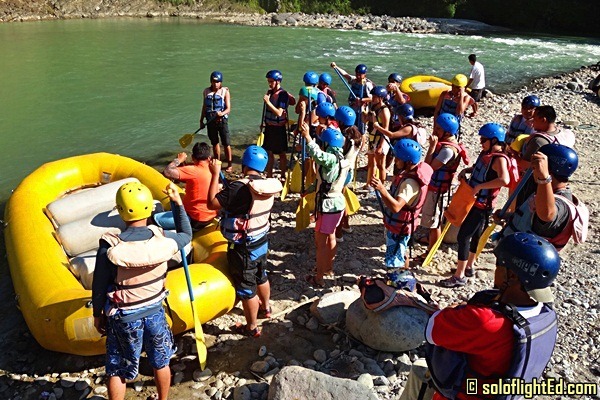 we wanted to try this when we were in Kalinga… too bad, di pala season when we were there… anyway, babalik ako dyan soon para ma-try ang rafting sa Kalinga… sobrang comfy ng helmet ah… hehehe! Looks like your having fun! ..Wow! The water is very clear. 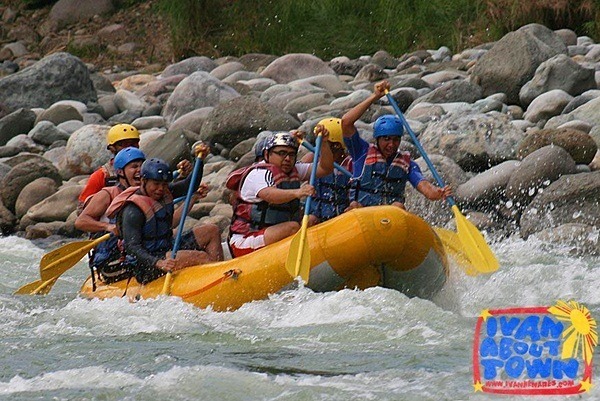 Have your tried White water rafting in Davao/CDO? Alin ang mas challenging? Haha! Dami kong tawa sa 'that little devil at the back". Mas wild ba ang rapids dito compared to the ones in CDO? Kasi nakayanan ko naman yung sa CDO eh. Hahaha. Hola SoloFlightEd.. I'd like to know how much this cost you (the Chico river rafting)? I'd be visiting Sagada soon and if ever I'd like to squeeze it in my SAGADA itinerary.. will it be possible? I'd like to hear you two cents on this..
What an amazing adventure! 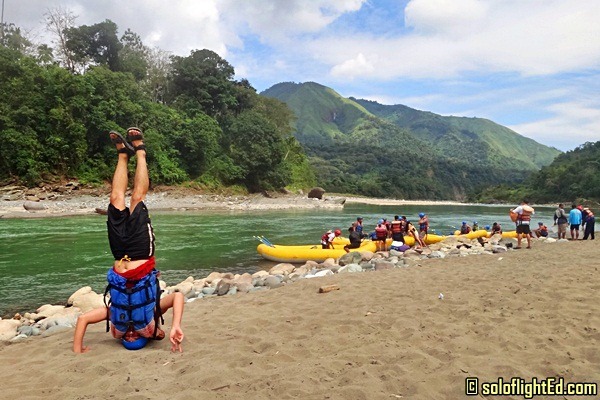 We’ll definitely try this the next time we head to Mountain Province.